If you are reading this article, there is a good chance you are interested in running for political office. On behalf of the Reform Party, we congratulate you! You should run for political office. Right now, there are significant challenges facing our federal, state, and local governments. Unfortunately, most of the important issues have gone unresolved because the Democrats and Republicans are more interested in playing party politics. The Democrats and Republicans fail to resolve issues, and then blame one another for the failure. Creating blame and fear helps the two parties raise money, but it does not help America. This is the problem with the two-party system: it has ceased to serve the American people. 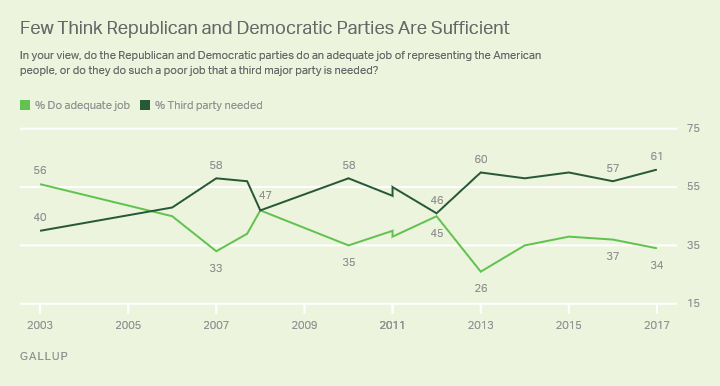 It is why Gallup discovered during a recent poll that the number of Americans who think a third party is needed has reached its highest level: 61%. The truth is, Democrats and Republicans are not doing a good job, and the American people know it. One of the most disturbing trends over the last decade is that federal budget deficits have averaged over $850 billion over the last ten years (and could exceed $1 trillion this year). Another is that our national debt recently exceeded $21 trillion. We have less direction and positive policy today to fix our education and healthcare systems than at any time in history, problems with immigration (legal and illegal) continue to go unaddressed, and since the mid-1980s, the U.S. has seen dramatic declines in new business creation, wages, and lower to middle class wealth, while large corporations have grown larger and more powerful, and wealth is concentrated with a smaller percent of people. Meanwhile, at the state and local levels, declining revenues have plagued many state budgets. This has caused cuts in education and local services. Transportation delays, and a lack of infrastructure improvements have helped to slow local economies. Legislatures try and pass legislation that isn't designed to solve existing problems, while serious issues go unfixed. And mismanagement of taxpayer money has resulted in lost opportunities for investment in our future. What's more, there are tons of social issues at stake, as well as the fundamental issue of how fair our government is, and how equally our law enforcement agencies apply the law to different groups of people. Whatever you believe is the most important issue facing you, and your community, you have taken the right step to look at how you can run a political campaign, and how you can be a successful candidate. The Reform Party has compiled a list of key steps or topics that you need to think about before you officially launch your campaign for office. 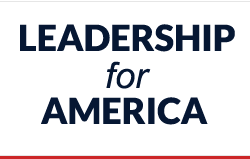 We also have partnered with Leadership for America, which will run education and training programs for candidates starting in mid-May of 2018. So, how can you run a political campaign and be a successful candidate? Step one: Make sure you qualify for the office. Then get on the ballot. Every elected office has qualifications that candidates need to meet, and ballot access requirements. States either have this information on the Secretary of State's website or a specific department for voting or elections. In Virginia, for example, all candidate information is available on the Department of Elections website. Once you learn that you meet the qualifications for office, the next step, ballot access, can often be the hardest. States have different standards for different levels of office. A very important rule of thumb for independent candidates is this: if you state sets a minimum number of signatures for a particulate office, be sure to exceed it by between 10% to 20%. The more you can go over the state minimum, the better. Because when Democratic Party or Republican Party politicians talk about the benefits of competition in the marketplace - they are absolutely not talking about political campaigns or the marketplace of policy ideas. Politics is the one area where two parties prefer a monopoly, because they are the ones with the power. To ensure they keep power to themselves, Democrats and/or Republicans may hire a team of lawyers to scrutinize your signatures and how you gathered them. This will depending on the type of office you are seeking, and which party or candidate feels the most threatened. Lawyers are not the only tool in their arsenal, but they are one of the most common. Any chance they can get to knock you off the ballot before you have even been officially added, they will take it. It limits competition for them, and maintains the same script for voters to follow: choosing between the lesser of two evils. Therefore, review the ballot access laws carefully, and make sure you have an exceptionally well-documented process for signature collection, and a strong quality control process for how they are handled. Do not hold onto signatures for long periods of time. When they are complete, make a copy, and take them down to the Board of Elections, or whichever office is collecting signatures for ballot access. Independent candidates often have to out-work, and out-process their competitors. Until ballot access laws are changed, this is the way the system operates. But on the plus side - the discipline you will gain from doing this will serve you well throughout the campaign. Campaigning is a high-touch activity that requires a constant delivery of value. You need a lot of interactions to be successful at campaigning. Mass media, automation technology, social media, e-mails, and face-to-face meetings are all essential to success. However, you need to more than just be there. For every interaction with a voter - every time you touch a person with some form of communication - you need to both deliver something of value, and articulate how you want to bring value in the future. Campaigning requires that you step outside of your comfort zone. There is a chance that your past success, skills, and experience can help you in an election. However, new candidates are often not prepared for just how far they have to step outside their comfort zone. Running for election is a different world than any you have known. It's fast-paced, exciting, draining, and filled with personal interactions - many positive and some harsh, negative, and frightening. There is a good chance you will interact with people who have viewpoints that may shock you. You may encounter voters who have intense anger about a particular topic (or person), as well as voters who lack knowledge on the issues, or voters that may have the answers and insight you lack. Whatever the case, on the campaign trail you have to be willing to accept the good days with the bad days, and not be afraid of new experiences that can happen at any time. Focus on 3 to 5 core issues. While every political candidate will be expected to understand and have opinions on all the issues and topics that come before them, you need to have some core issues that become part of your campaign speeches and talking points. To that end, focusing on a few core messages that you can repeat is better than having too many ideas and messages. Too many messages and ideas will only confuse voters about your purpose and goals. Take a look at all the issues you care about deeply. If you zero-in on three core issues, choose one of yours. If you focus on five core issues, then choose two of your own. The others are the most important issues to your voters or future constituents. Therefore, understanding your voting audience is essential to forming your solutions for the issues they care about. The issues will differ community by community, so it is important to do your research before you start knocking on doors. A lot will depend on what office you are thinking about seeking. If you are running for Congress, the issues across your district can be very different. Whereas, if you are running for school board - you may find there is a lot of unity around what parents want. One place to start is to run a Facebook poll, and sponsor it as an ad. The advertisement of the ad would target your voting audience by using the demographic options available in Facebook. The cost for doing this could be as low as $30, if you only need a small audience sample. Never the less, it is a very effective way to understand how your fellow voters are thinking, and therefore, what issues you need to focus on. Test your message on two groups: the people closest to you, and people who don't know you well. Once you have your core issues down, you are going to want to test your message in a controlled way. First, form a group of people who you are closest to. Tell them up-front that you want their honest feedback about what you say, and how you say it. If it helps them (and you), prepare some questions and have your closest family or friends interview you as if they are a reporter. Second, form a group of people who may not know you well at all, but are willing to help. You don't need many people for this group. Then conduct the same exercise with them. The point is - you want a couple of different audience types to see how your campaign themes and responses to questions resonate. Are they clear and strong? Or are they confusing? The key thing to remember here is: do not take the feedback you receive personally. Focus instead on things you can control, like what words you saying, your tone of voice, and your body language. If you appreciate self-improvement, you will thrive as a candidate, because a campaign is a long process of self-improvement. While companies have brand name products, your campaign has... you. You are the brand. So, any problems with how you are packaged - or in other words - how you look, what you say, and how you say it - you will need to improve those things as the campaign progresses. Another key point is that you need to develop patience and discipline during the initial stages of testing your message, as well as throughout the campaign. Reporters and voters will press you on topics, challenge your reasoning, insult you, and potentially worse. Be respectful, honest, and polite. There is no reason to be defensive. If you are asked a question that you are not prepared to answer, say, "That's an excellent question. I am glad you asked that. Let me do a little more research, and get back to you directly with a response." Then - if it is a voter - ask them what their opinion is by saying, "In the meantime, I'd love to hear your perspective on this issue. What do you think?" All of these steps will help prepare you for how to properly interact with voters, and how to present your case to earn their vote. Know how many votes you need to win. A great early exercise is to take a look at past elections to understand exactly how many votes you need to win. For example, let's say you decide to run for the U.S. House of Representatives for the 10th Congressional District of Virginia. It's important to know if you are running in a presidential election year or not. In 2016 (a presidential election year), Barbara Comstock won with 210,791 votes. But she won in 2014 (a non-presidential year) with 125,914 votes. If we look at past elections, the number of voters participating shows similar variations. Based on the data, we can estimate there will be between 210,000 and 240,000 votes cast in 2018. Once we know how many ballots will be cast, we need to get a vote goal estimate. If we assume 240,000 ballots, and a 3 candidate race, the target will be approximately 85,000 votes. With this information, it is now possible to plan outreach, and budget. This will involve calculating how much it will cost to market and win over voters, and how much the campaign estimates it will need to pay per vote. In past elections, Comstock has consistently out-spent her Democratic rivals by over $1.5 million per the last two elections - coming close to spending $5 million. Create a detailed campaign plan and budget. Mapping out your campaign plan and budget is critical before you start. But it also is something you need to review each and every week. Campaign plans and budgets are great tools. And while there should not be a flood of drastic changes, they are fluid - especially your campaign plan. As an independent candidate, you cannot always use previous campaigns from Democrats or Republicans as an exact blueprint. But they can serve as a guide to understand the structure of a campaign, where they prioritize money, activities, costs, and more. When you write your campaign plan, start with some basics. You do not need to have everything outlined in the first version. Begin by thinking / brainstorming about topics such as: fundraising, media and voter communications, events you may want to attend, op-eds you want to write, when to go door-to-door, and the kinds of visual aids you think are compelling. Create an outline for a content calendar - what you are going to write for your website, what videos you want to do, social media activities (Facebook Live, etc), and more. Then start to look for media contacts, and narrow your personal and business contacts into groups - which group you want to target first. And how you are going to communicate with them. As you plan evolves, you can start to build out a roadmap of where voters stand on different issues, and what your positions will be. You'll want to identify the central themes of your campaign. And most importantly, you will want to create a calendar of deadlines and important events. Build your team and attract grassroots supporters. Every campaign, regardless of the level of office you are seeking, requires help. You will need help managing the day-to-day of your campaign, ensure you comply with fundraising rules and meet deadlines, as well as knocking on doors, putting up signs, and supporting you in front of others when you are not around. Here are some positions you need to consider for your campaign (paid or volunteer): Campaign Manager, Treasurer, Fundraiser, Media and Communications, Grassroots Coordinator, and Neighborhood Captains. The campaign manager’s job is to run the campaign, which includes overseeing all activities, events, deadlines, plans, and people. The treasurer is responsible for ensuring the campaign complies with all local, state, and federal financial laws. The treasurer must have experience and knowledge, as well as time to complete all the tasks necessary, and in a timely manner. The fundraiser works with everyone to help raise money to fund the campaign. Fundraising needs a point person, but for a campaign, it is everyone's job to assist in raising money. Media and communications also needs a point person for the press and public communications. This person's role is oversee all outbound and inbound communication, the website, social media, and all marketing for the campaign. This person also should be responsible for developing a rapid response program to reply to complaints, and attacks from political opponents. Grassroots coordinator is someone who can help organize people. This role can be as broad or narrow as you want to define it, and may be large or small - depending on the office you seek. Neighborhood captains are an under-used, but highly valuable resource. When you connect with people out on the campaign trail who want to help, see if they will be willing to be neighborhood captains. Keep the job simple. It involves putting a sign in their yard, and handing out some flyers saying, "I'm your neighbor. Here is why I am supporting [your name], candidate for [office you are seeking.]" This kind of personal touch is great. If you coordinate these activities, you can then time your door-to-door efforts and GOTV operations more effectively. You also may want someone to help coordinate events and activities, unless you role that function under your campaign or communication manager's duties. First, never turn away people who want to help. Every little tasks helps you get closer to your goal. We talked above about how campaigns take you out of your comfort zone. It may be hard to accept help, especially if you are used to doing things yourself. But you must think about where your time is better served: getting out and meeting people. Hence, you should always allow people to help you and save your time. Second, start by looking to some of your family and friends to provide some support. Even people who do not live close to you can write, make phone calls, or send emails on your behalf. Create local captains or evangelists. We mentioned "neighborhood captains" above, but we are going to mention them again, because they are critical piece to every independent campaign for office. As an independent candidate, you are not only fighting against political opponents, but you also are fighting against habits. For years, people have formed a habit in their brain that they only have two options. The only thing that breaks habits, is a willingness to change (disapproval with the two parties or specific officials) and trust. Voter disapproval of the two parties is already high, and people want change. But they need to trust in you. Showing you can win broad support and support from people in your community, is going to help build that trust. When you run for office, you have to be focused on gaining attention. Democrats and Republicans have built-in advantages in media relationships, party infrastructure, and more. The only way to stand-out, is to stand-up and out-work everyone else. A story that illustrates this is when Scott Brown ran for the U.S. Senate in Massachusetts. While he is a Republican, in Massachusetts, Scott Brown was completely unknown. He was one of fewer than 10 Republicans elected to state office out of hundreds. He had no name recognition. When he started his campaign, Brown literally decided to drive all over the state in his pick-up truck. He knocked on doors, held meetings, went to fairs and events, and he talked with people. A lot of people. Over time, his desire to listen to people started to resonate, as did his passion, energy, and how hard he was willing to work. What's more, he was interacting with more voters than his opponent. As the days got closer to the election, people were asked who you wanted to vote for - and a majority said "Scott Brown." Interestingly enough, people were also asked who they thought was going to win, and the majority said his opponent. It was at that moment that the election changed. Because Scott Brown got the attention of individual voters. On a one-to-one level, a majority preferred Scott Brown, but they did not know he had made such a strong impact on everyone else. Once his strong appeal from the public got the attention of everyone else, Scott Brown jumped into the lead. He never trailed from the day of that poll to the election, and he went on become a Republican Senator from... Massachusetts. If there is any example that proves even the most impossible outcomes can happen - this is one. You have to go to where your constituents are. It sounds pretty easy, but it is an essential part of any campaign to figure out, "Where do people spend their time?" Once you have an idea of the kinds of activities and events that are going on, and where people are going to be - it's your campaign's job to be there. This includes activities, events, forums, and more - both online and in person. Where are there sporting events? Beer and bacon festivals? Church gatherings? How about the most active cafes? Or shopping plazas with restaurants close to major office buildings? What about online groups and social networks? Find out where people actually are (or going to be), as well as where their eyes and ears go - and find ways to be there too. We all know that substantive or "real" relationships take time to build. To be successful as a candidate, you need to spend time meeting people. Raising your visibility, and talking with people you meet is important. Let them know who you are. The more often they hear your name, see you, and interact with you - the more of a relationship you can build. In addition to one-on-one connections, you need to make sure you are communicating en mass with people using email, social media, newspaper, radio, and television. Lastly, while you should communicate with some voters everyday, do not be afraid to communicate every week or two with different people in the media to let them know what your campaign is doing, and if there are announcements or policy updates. Try to schedule informal coffee chats or schedule regular press briefings and phone calls. Building trust and relationships with voters and the media is important. Give people a reason to donate. There is an old adage in politics that when someone gives money to your campaign, they are more likely to vote for you. The truth is, when people make an investment in you, that want to see that investment pay off. The same is true in business. A donation or investment creates a connection wherein the voter / campaign contributor and you, the candidate, are linked. People who donate want you to succeed. Thus, you need to give people a reason to donate. And that reason must be positive and connect to the needs of the voter. As independents, we all like to say we are fighting against corruption, the two-party system, etc. But the truth is - we are fighting FOR voters and their ideas. Listen to what people are interested in - and what their concerns are. Make finding a solution to your community's needs paramount, and sell the solutions and value you bring to them. One of the biggest challenges for any candidate is making it easy for people to contribute directly to a campaign. While it can be expensive to take money via credit cards and electronic payments - there are solutions in the marketplace that allow you do it. Mobile credit card readers are available, as are other options. The key is - make accepting money easy for people to do. And do not frighten people away from donating by asking for large sums of money. You want momentum, and to start building a base of donors. So, start small, build a relationship, and then grow your campaign. Don't be afraid to ask for help and money. Campaigns are tough organizations to launch, manage and support. You are running a start-up business that needs to perform like a large company that has existed for 15 years. And you only have a few months to win one job opportunity! Therefore, never be afraid to ask for help or money. Review your background and what's available to the public. Political campaigns have entered a confusing and unique period. We have the strength and importance of the #MeToo movement, and fight against discrimination. And we also have the direct and unfiltered views of President Trump lighting up Twitter and television, and rebellion against false accusations and inauthentic people. It has become hard to know which past facts about your life people are going to care about and use to disqualify you from office. Nevertheless, you need to sit down and compile (with the most open mind possible) every little and big thing you've done wrong in your life. You need to review your financial records. And you need to think about every job you've ever had, and think about the most negative things people have ever said about you or could have said about you. You also need to look at how you portray yourself in profile photos. Selfies are OK in some cases, but in others - you want to get some professional head shots done, as well as professional pictures in settings that voters will react warmly to. Where you can, create new accounts specifically for your campaign. And make sure you monitor who follows you. Candidates for office, political party committees, PACs, and others are eligible to obtain voter files, which contain information on people who voted in previous elections. If you are only interested in general elections (and not primaries), you can simplify your request the total expense. Voter files are typically available at your Department of Elections. Here is the link for obtaining a voter file in Virginia. The cost for the type of file you need will vary. But it could cost you a few thousand dollars. This is - after all - valuable and personal information. Before you obtain a voter file, you should review all the rules for its use, and develop some privacy guidelines of your own to ensure you are in compliance with your state government's regulations, but also with basic anti-spam expectations. Once your campaign has its team, plan, and is ready to get moving, you need to come up with some initial campaign materials that fit a design and theme for your campaign. We recommend you review some area printers, and see who has done work for political campaigns in the past. But anyone with design experience can help you get brochures done, business cards created, signs and other valuable campaign materials. NOTE: Do not rely on Kinkos or retail chain stores to handle your printing. For some, this is an easy mistake to make, because they seem quick, easy, and affordable. In truth, a professional printer can produce better quality materials, in larger sums, for less money. Create a well-polished, and consistently branded online and social media presence. We recommended above that you create social media accounts for your campaign. It is important they are consistent in look-and-feel, and branding. You can use a tool like Hootsuite to manage all your campaign social media posts from one central location - though we do recommend you handle Instagram directly from your phone. Facebook, Instagram and YouTube will be the most important tools you can use for your campaign. Some campaigns still use Twitter. You are welcomed to use it as well (it works for that guy in the White House, apparently), but we recommend you stick with the networks that will reach the largest share of your voting audience. Get out there and introduce yourself before your first kick-off rally. Before you hold a "campaign kick-off rally" we highly recommend you get out into the community and introduce yourself. Spend a few weeks meeting and listening before you have your first rally. In fact, it might be a good idea to invite interested voters together for a "listening" session to hear what people think. Hold some "Facebook Live" sessions. Advertise - use paid advertising in social media - to promote your listening events. Once you have a voter file, gotten out into the community, and then conducted some listening sessions, then you can properly kick-off your campaign will something closer to a rally. Write an inspiring stump or campaign speech. People want to hear their candidates have a compelling reason to seek office. This is why you need to spend some time to write an inspiring stump or campaign speech that you can share. Avoid jargon or flowery language. And do not use this as a time to be long-winded or get deep into the weeds of policy. An inspiring speech has many different qualities. It is human and something people can easily relate to. It includes quotes or anecdotes. It explains why you are running for this office, and what you can do to help. People want to know you have the experience to handle the job. They want to be able to visualize the future you can bring, not be told or directed to it. Imagery blended within your words will be key. Lastly, be honest. Your signature speech is not a time to embellish reality or take credit for things that were not your accomplishments. Honesty builds credibility, whereas dishonesty breads mistrust and sometimes anger. Stay positive, and truthful in all your stories. Develop a plan to respond to attacks from people, the media, and your opponents. When you are running a campaign, there will be a time when someone will attack you - personally, professionally. Or attack your ideas. You need to have a high level of discipline and a plan to respond to these attacks. Every rapid response plan needs avoid being defensive or angry. Attacks will come and go, and there will likely be more attacks than praise. But voters will judge on how you respond to those attacks. It is a careful balancing act every candidate must walk, but for independent candidates, you need to be very respectful at all times. The moment you get angry, or fly off the handle, is the moment the media portrays you as being unbalanced, crazy, or unfit for the job. Create your "Get Out The Vote" (GOTV) plan now, and adapt as your campaign grows. All of your campaign activities will not mean much if you do not have a plan to get voters to their polling stations to vote. Though it seems early, you need to start thinking about your GOTV strategy and plan at the start of your campaign, and review and edit it as the campaign progresses. Are you interested in becoming a candidate? Complete this simple form, and a member of our team will contact you. What office(s) are you interested in seeking?